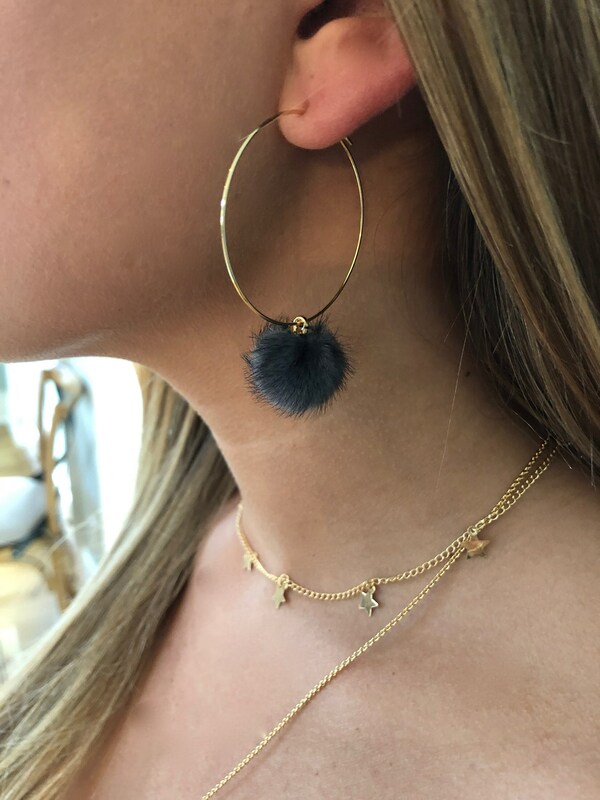 Faux Fur Hoop Earrings. 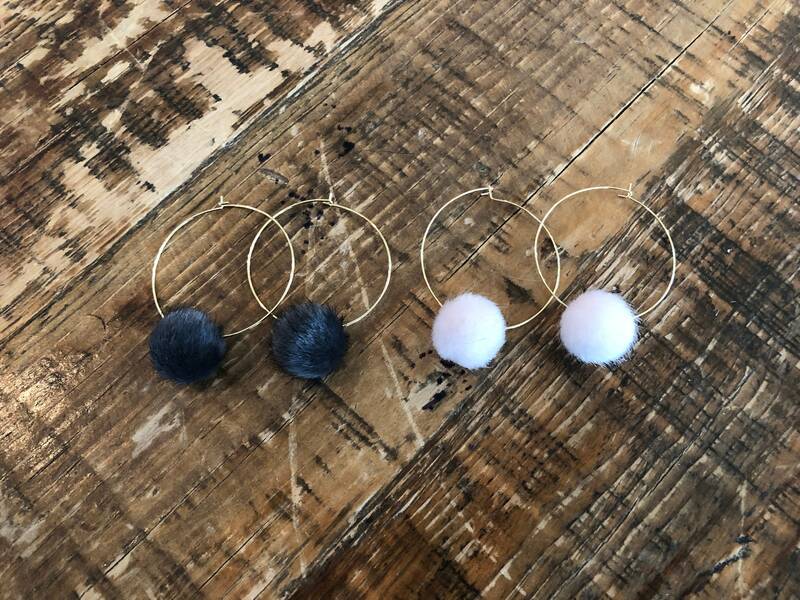 Fur Ball Earrings. 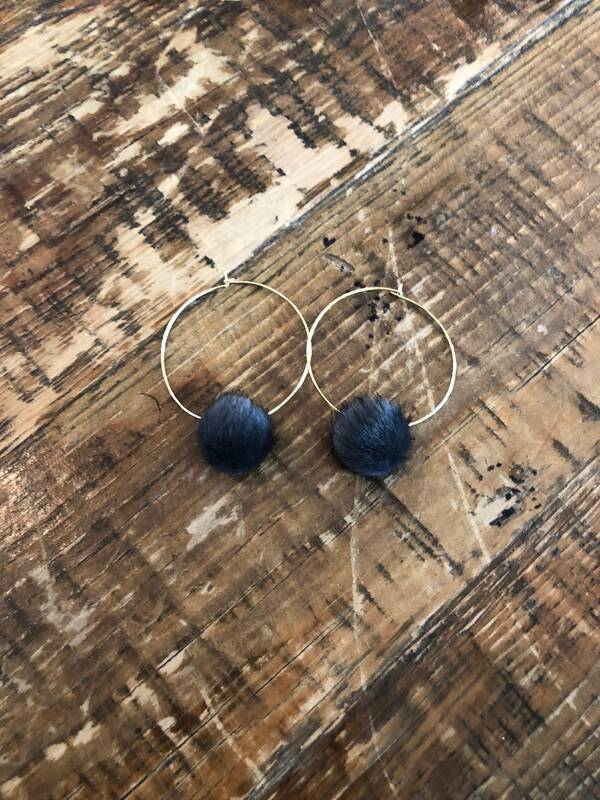 Hoop Earrings. So fun! 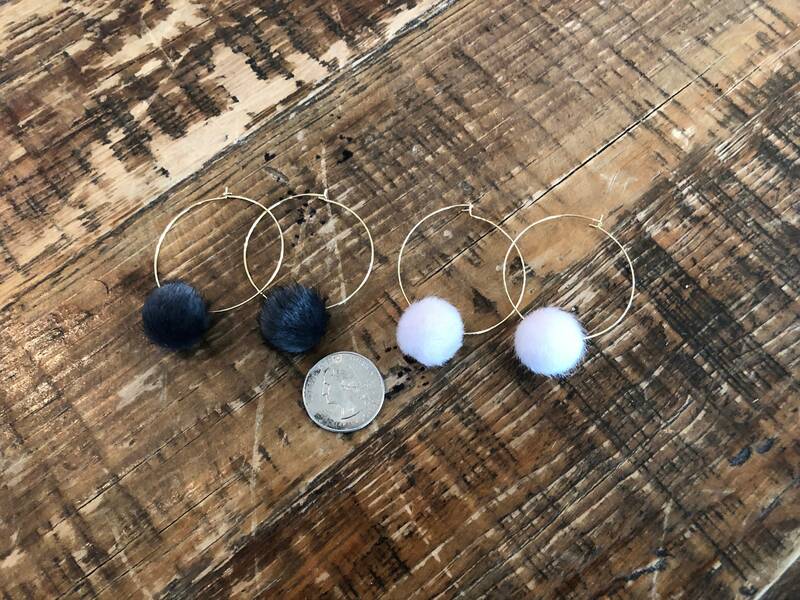 Grab a pair of these funky, trendy hoops to spice up and outfit. Works well with casual or dressy attire! Definitely an attention grabber!